A man accused of murdering another man at Samusu-uta over an alcohol-related feud has denied the charge against him. 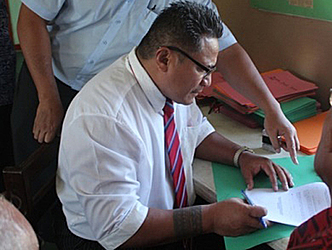 Mauaiseaso Teofilo entered a not guilty plea through his lawyer, Pa’u Tafaogalupe Mulitalo. Chief Justice, His Patu Tiava’asu’e Falefatu Sapolu is presiding. The Prosecutor is Leone Mailo Su’a. 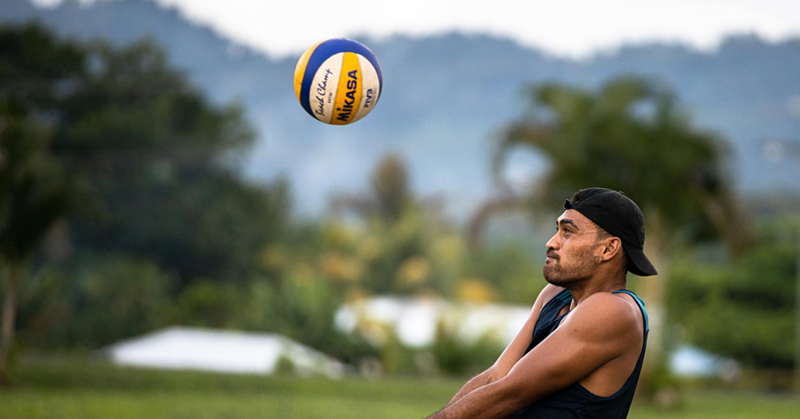 In Court this week, Pa’u acknowledged that his client had already pleaded guilty. “You’re Honor I understand that the defendant has already entered a guilty plea to the charges against him when he was un-represented,” Pa’u said. But Prosecutor Ms. Su’a disputed Pa’u’s claim. She said the defendant had not entered a plea as the matter was adjourned for the defendant to seek legal aid. “Your Honor, this matter was adjourned to today for the defendant to fill in a legal aid form and he hasn’t entered a plea,” she said. Chief Justice Patu then told the Defense Counsel that his client did not enter a plea. “Okay so in that case it is a not guilty plea and with bail you’re Honor,” said Pa’u. Ms. Su’a did not oppose bail. However she requested that the defendant must not return to where the incident occurred and that he has to stay away. “The court has now noted down your not guilty plea through your lawyer,” Chief Justice Patu told the defendant, adding that the matter has been adjourned until 18 September. The defendant is charged with murder in relation to the death of a 45-year-old male at Samusu Uta, Aleipata. Teofilo is accused of using a 2x4 piece of wood to kill the deceased after a drinking session went wrong.